The Asian Institute of Technology (AIT) has maintained its position as the world’s top international university once again, bagging six perfect scores for the second consecutive year in the category of “International Orientation” in the latest edition of U-Multirank’s “Annual World Rankings of Universities” released on 6 June 2018. AIT is the only university in Asia to be ranked at the global top in international orientation, and this is the third time in the past four years that AIT has achieved this impressive result. In addition, AIT has also been rated among the world’s top 25 performing universities in the category of "Income from Continuous Professional Development,” a honour that only three Asian universities can be proud of. 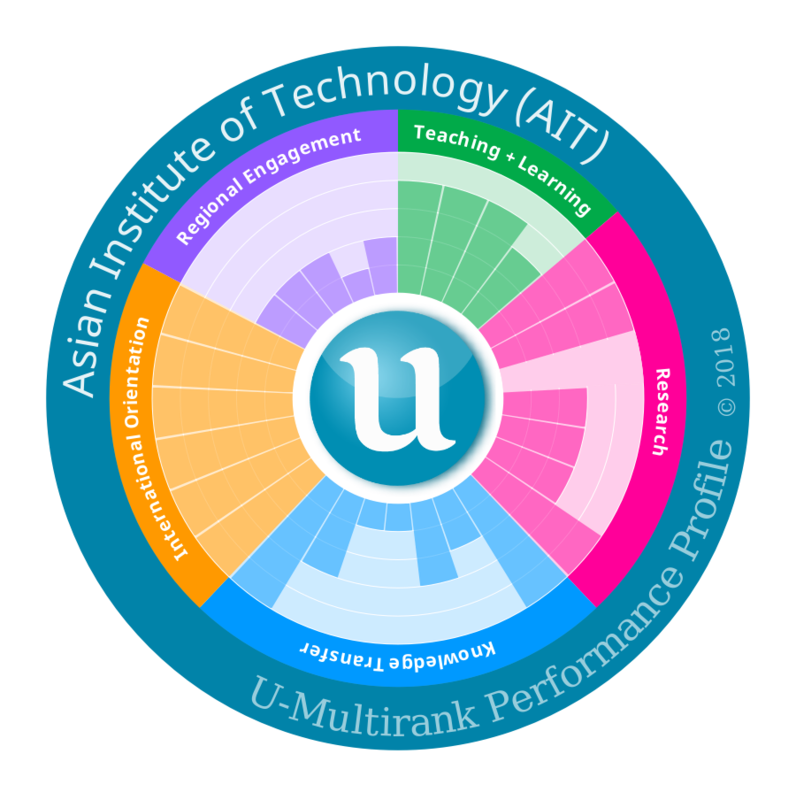 In the 2018 U-Multirank findings, AIT has maintained its numero uno position in all six categories of international orientation — foreign language bachelor programs, foreign language master programs, student mobility, international academic staff, international joint publications, and international doctorate degrees. AIT is joined by 21 other universities with perfect scores in this field. “The latest round of rankings where AIT is once again ranked as the top international university does not come as a surprise,” AIT President Worsak Kanok-Nukulchai said. Ever since its inception in 1959, AIT has served as a role model for other universities, and it occupies a unique place in the realm of international higher education, Prof. Worsak added. “AIT’s performance in continuous professional development is in tune with our vision of providing lifelong learning, where learning does not end with a students’ graduation, but continues for a lifetime,” President Worsak remarked. Overall, AIT has 12 perfect scores, with six top positions in the categories of 'international orientation', three in 'research', and three in 'knowledge transfer'. Individually, AIT also obtained the top rank in research publications (size normalised), external research income, post-doc positions, income from private sources (per full time equivalent academic staff), income from continuous professional development (per cent of total income), and graduate companies. AIT’s performance in 'Income from Continuous Professional Development' is reflective of the Institute’s offerings in continuing education. 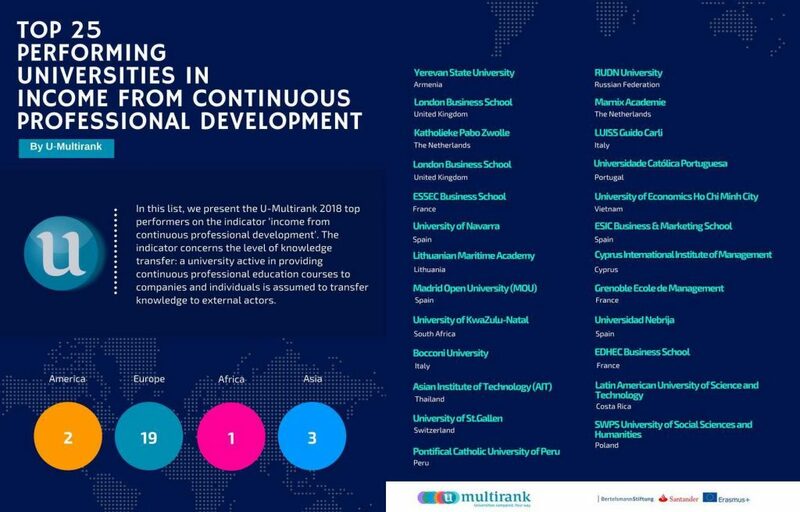 According to U-Multirank, this indicator is related to the level of knowledge transfer, and it indicates that a university is active in providing continuous professional education courses to companies and individuals by transferring knowledge to external actors. U-Multirank is widely regarded as the largest global university ranking, and the latest set of rankings compares 1,614 universities from 95 countries.